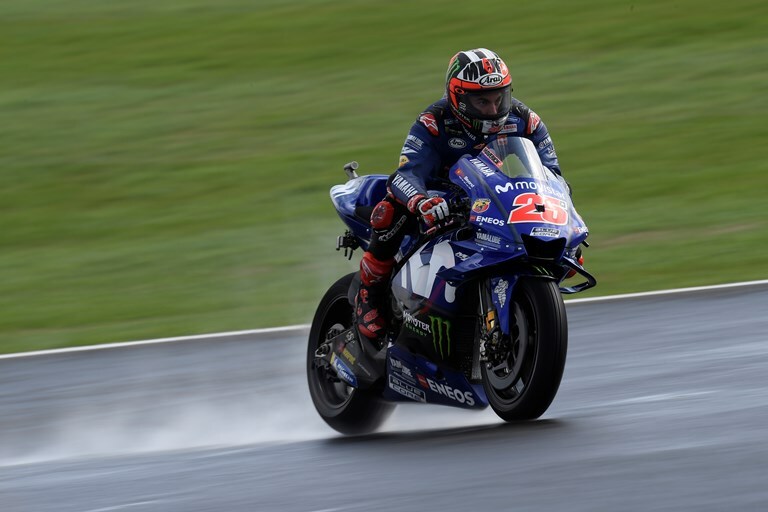 Movistar Yamaha MotoGP’s Maverick Viñales had been in top form all weekend in the dry but couldn’t reproduce the feeling during the wet Q2 session. He set the 11th fastest time. Teammate Valentino Rossi took a strategy gamble in the 15-minute shoot-out, making a late pit stop, but it didn’t pay off. He will start the race tomorrow from 12th on the grid. Monster Yamaha Tech3 star Johann Zarco delivered a breathtaking Qualifying at the British Grand Prix and bravely ended up in the front row again. The fast Frenchman timed his fastest lap to perfection and secured himself the third spot for tomorrow’s 12th round of the 2018 MotoGP World Championship season as the best Yamaha rider, although the conditions where far from ideal with mixed weather.